The climate is changing. This dire scenario is slowly starting to be felt all around the world, with global temperature averages increasing and climate patterns becoming disrupted. The problem begins with the continuous injection of carbon dioxide (CO2) into the atmosphere. As concentrations of this greenhouse gas increase, its dissolution into surface waters is favoured, and thus oceanic-CO2 increases as well. This gives rise to the phenomenon of Ocean Acidification (OA), which effectively creates a harsh environment for most marine species, and that has been the source of growing interest and concern not only in the scientific community but also in the general public. Despite extensive research being conducted on the immediate effects of increased CO2 – i.e. the exposure of a single generation – a relatively new approach in experimental ecology aims to assess the short- to long-term effects of this stressor across several generations. As acclimation occurs in one generation, individuals experience different physiological and behaviour changes that emerge as a response to a stressful environment, and which aim at maximizing the individual’s ability to endure or move away from these conditions. Organisms may also effectively influence the following generations through parental conditioning, which includes the inheritance of non-genetic traits from adults to their offspring. This is something that has been shown to lead to largely positive effects in the offspring’s response, but that can also render the next generations more vulnerable to these environmental stressors. 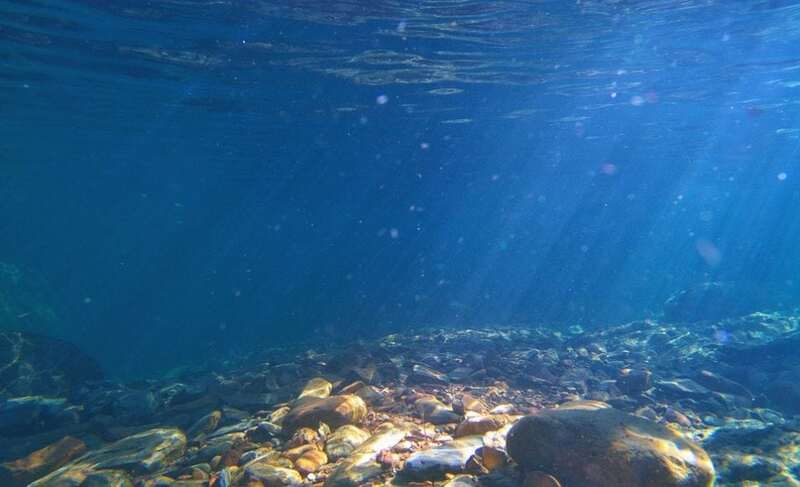 There is still much to learn concerning the potential for marine species to adapt to long-term climate change, and in particular to ocean acidification. One group that is still clearly understudied is the group of crustaceans. This is, in part, due to the idea that crustaceans – in particular, those subject to daily environmental variations such as those felt in coastal and intertidal ecosystems – are naturally more resilient to environmental variation. There are now several examples of negative impacts of OA over a single generation in this group (e.g. changes in egg production and embryonic development, reduction in survival and growth, etc. ), thus it is possible that crustaceans could be far more vulnerable to OA than previously thought. To date, only a handful of studies with ocean acidification scenarios have focused on the transgenerational and/or multigenerational effects in crustacean species, with most of them being performed in copepods. Another very interesting crustacean group is that of amphipods (order Amphipoda, Class Crustacea; aka “scuds”). This group includes numerous and especially diverse species, which occur all over the world in very different environments, and are considered a key node in most marine food webs, especially in rocky coastal regions. Their role as a primary consumer of algae and organic detritus, as well as a predator to small invertebrates, and as prey for numerous fish, birds and other crustaceans, renders them a very ecologically relevant subgroup. Since disturbances in keystone species can perpetuate into cascading ecological effects, we wondered what would be the initial, transgenerational responses of an amphipod species (a gammarid, Gammarus locusta), exposed to a predicted scenario of OA. To address possible effects, we measured overall survival and key reproductive traits – such as egg number, the duration of mate-guarding behaviours that predicts egg fertilization, the duration of embryonic development and the number of living juveniles that effectively emerge from their eggs and from their mother’s brood pouch – over the course of two generations, from juvenile to sexual maturity. In summary, we found evidence to suggest that, under predicted OA conditions G. locusta can be negatively affected by high CO2. Initially, the gammarids exhibited a steep drop in survival and an increased egg production – which hints at a possible strategy to maximize the chances of offspring survival – together with the disruption of normal duration of mate-guarding behaviours. In the second generation, survival seemed to recover to near-normal levels, but there was evidence to a likely trade-off between reproductive capacity and survival: a severe drop in female investment and consequently in fecundity were shown for the acidified lineage, despite rising survival rates. This could signal that G. locusta resorts to changes in normal energy allocation to its biological processes (such as reproduction) when confronted with the need to compensate the severe effects of OA in its survival. In fact, in another recently-published paper1, we addressed the metabolic effects of this stressor in individuals from the second generation, and found evidence for metabolic depression: a significant reduction in metabolic rates, which has been hypothesised to act as a survival-enhancing strategy; as well as a decrease in both the percentage of response as well as the response speed of males when presented with the scent of females – something that is essential in crustacean’s reproductive behaviours (i.e. the location of suitable mates). Another interesting result was the presence of negative parental effects for the majority of the study’s outputs: when the offspring of adults grown in acidified conditions was reared in present-day conditions, these would exhibit responses similar to those of their parents, suggesting that parental conditioning was, in fact, playing a role, conditioning the offspring’s responses in a negative way. While these results are novel and very interesting, they lack further testing in order to ascertain the validity of the proposed trade-off. We can achieve this by studying these and other traits, in a longer number of generations, so that we can provide better estimates regarding the potential effects of OA, and the potential to adapt in this amphipod species. Nonetheless, this work presented a good basis for further research, and we emphasize the need to increase research efforts regarding long-term adaptation to climate change in more ecologically relevant species, especially in crustaceans. These findings are described in the article entitled Transgenerational deleterious effects of ocean acidification on the reproductive success of a keystone crustacean (Gammarus locusta), recently published in the journal Marine Environmental Research. This work was conducted by Francisco O. Borges, Cátia Figueiredo, Eduardo Sampaio, Rui Rosa, and Tiago F. Grilo from the Universidade de Lisboa. Francisco O. Borges, Eduardo Sampaio, Cátia Figueiredo, Rui Rosa, Tiago F. Grilo, Hypercapnia-induced disruption of long-distance mate-detection and reduction of energy expenditure in a coastal keystone crustacean, Physiology & Behavior, Volume 195, 2018, Pages 69-75, ISSN 0031-9384, https://linkinghub.elsevier.com/retrieve/pii/S0031938418305407.